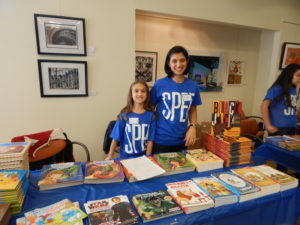 SPEF’s Books Across Stamford, an engaging literacy program, focuses on motivating children to read by distributing free books and literacy resources to low-income children and families. 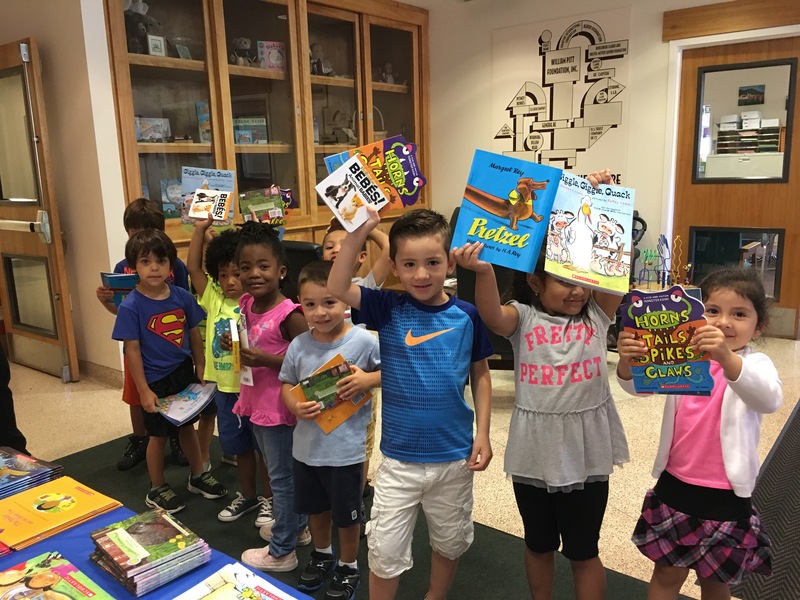 SPEF partners with Reading is FUNdamental and The Scholastic Possible Fund, along with Stamford’s Ferguson Library, to distribute approximately 5,000 brand new books every year to low-income children through book give-a-ways and donations to community centers throughout the city. Since 2013 SPEF has held two large-scale RIF book give-a-ways per year at The Ferguson Library. 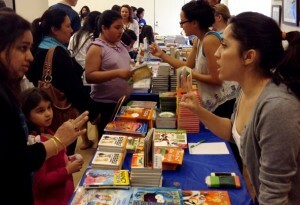 Approximately 600 – 700 books are distributed to 300 – 400 children at each event. These events also include guest readers, professional storytellers, arts & crafts activities, and snacks for all who attend. 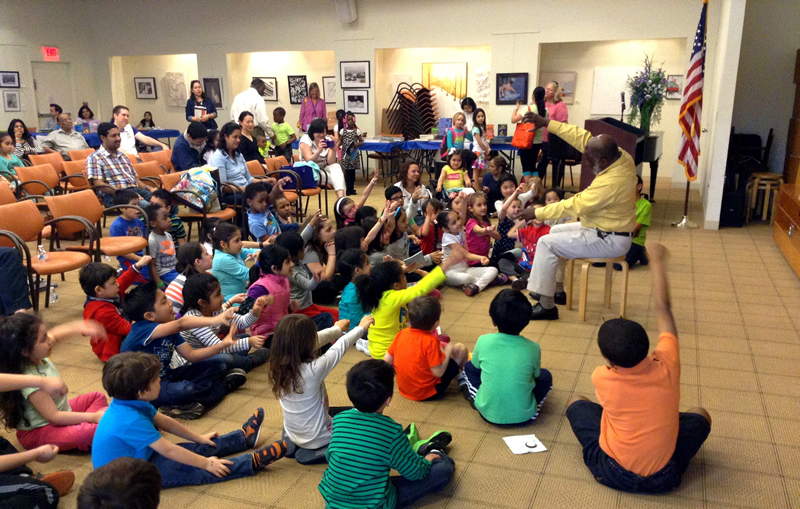 In 2014 SPEF launched the summertime Books Across Stamford program. Since then, SPEF has been organizing 8 – 10 book give-a-ways at community centers and camps in an effort to help curb summer learning loss. Approximately 2,000 books are distributed each summer. 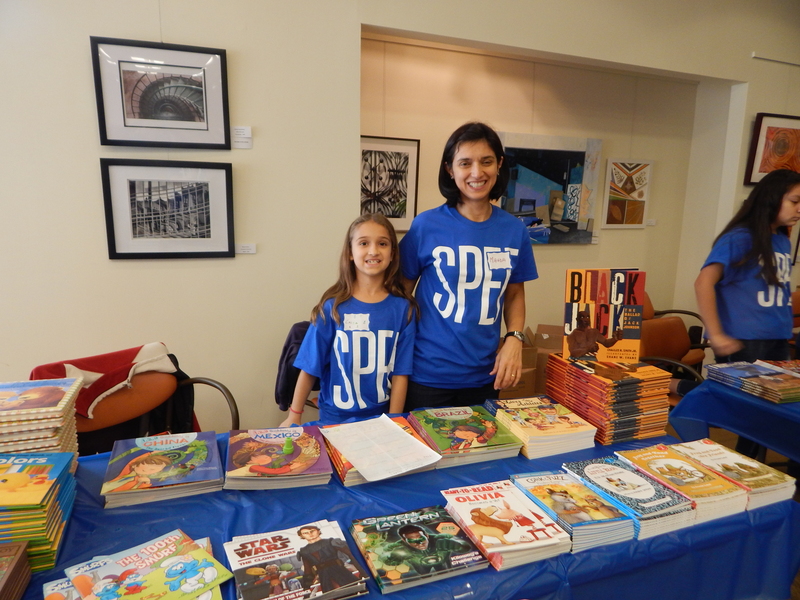 SPEF also provides book donations throughout the year to other local organizations, and the City of Stamford. Watch our video of SPEF’s 2018 Haunted Halloween Book Give-Away!